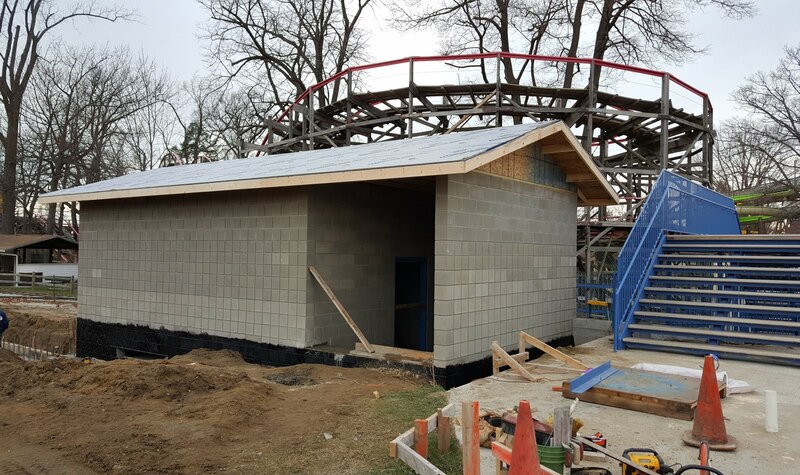 As Waldameer and Water World's team of full time workers is making headway for 2016 though painting, inspecting, and refurbishing our existing attractions, crews are hard at work building the foundation to Phase II of our multi-year Water World expansion project. With recent refurbishments and new paint to our existing slides in 2014 along with a new Giant Wave Pool added in 2015, it's time we added a new attraction for our youngest guests. New for 2016 is the Kidz Slide 'n Spray Zone featuring a colorful array of mini-slides and water features. 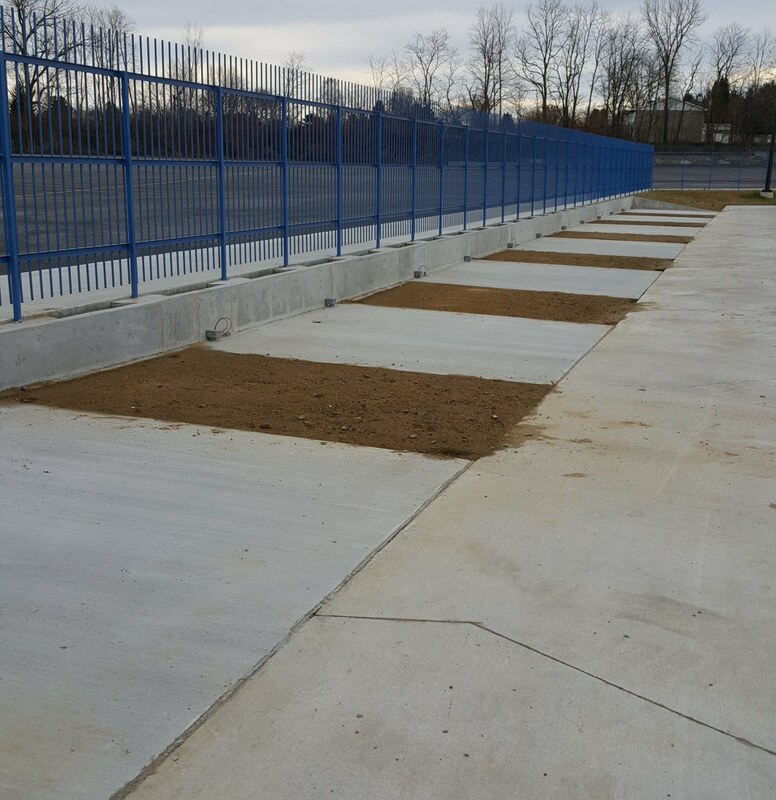 The mild Fall and early Winter weather has kept progress on our new Kidz Zone moving along nicely. 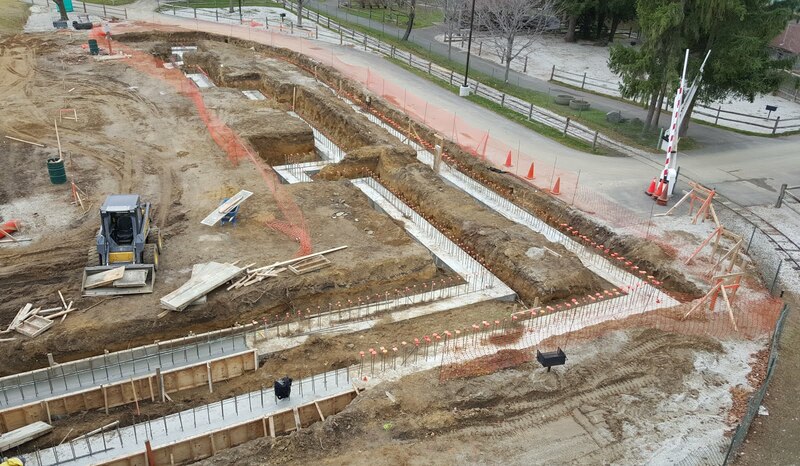 Each day more concrete is being poured and more blocks are stacked. Let's take a look and see. 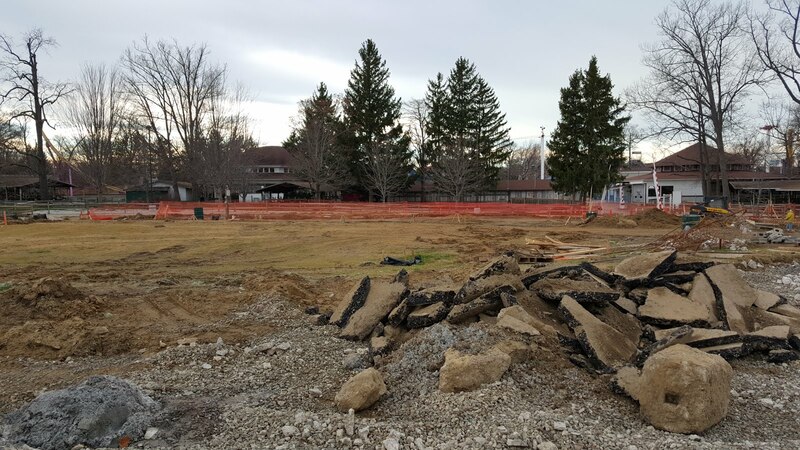 To make room for the expansion, the former Eastern I picnic shelter was removed. A beautiful brick wall with ivy and other landscaping will be built between the existing midway and Water World. An up-close view of the foundation being set for eight different children's slides. 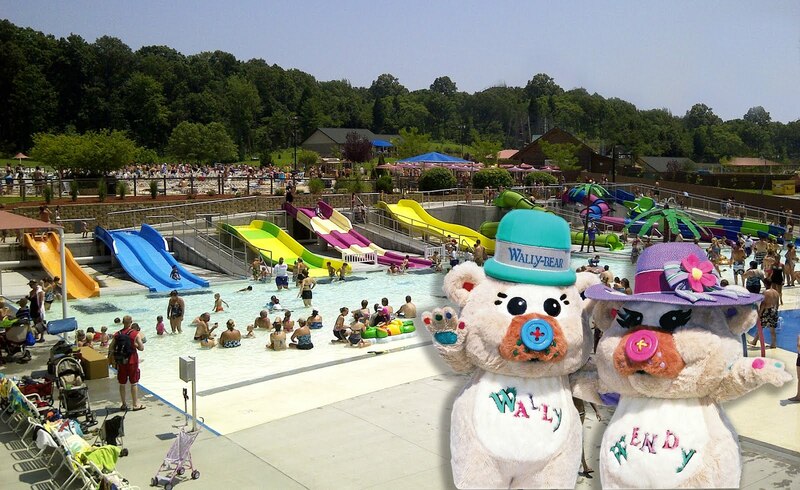 The slides will all run into a large wading pool with zero-depth entry. This is fancy talk for a beach-like entrance to the pool like our Giant Wave Pool. No more tricky steps into the water like the original children's area. 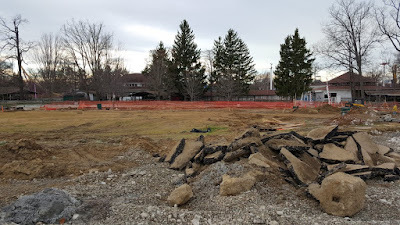 This empty and, pardon our mess, dirty field will transform into a Spray Area in front of the children's slides. There are hours of fun to be had exploring 30 different child-sized water features. Providing the water flow and filtration needed for our Kidz Zone is a new pump house. Once complete, the slides will look similar to these. 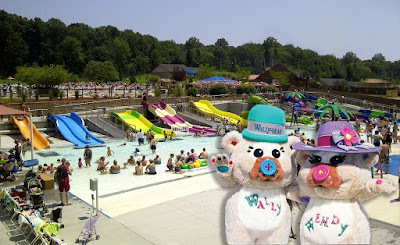 On the other side of the Wave Pool, preparations were made for another new amenity to Water World. 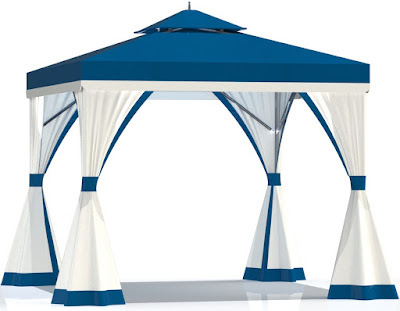 Beginning in 2016, cabanas will be available for rent providing a shaded relaxing place for the entire family. More information about cabana rental will be available in the near future. 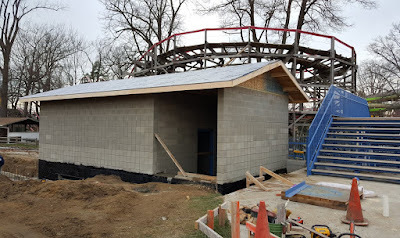 Once completed, the cabanas will look like the picture above. 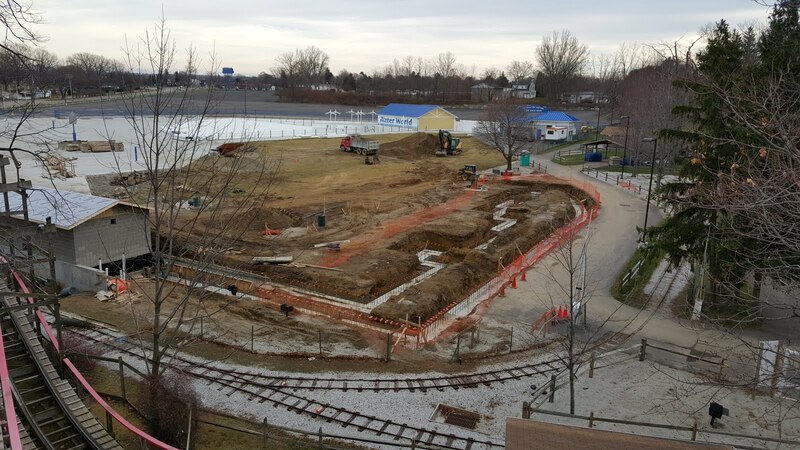 2016 will be here before we know it, but our mild December is keeping us on track as we continue to make excellent progress on our new Kidz Slide 'n Spray Zone. If you need a last minute gift for the Holiday Season, don't forget to check out our Online Store for gifts ideas such as Season Passes, Gift Cards, Waldameer's History Book, or even a stuffed Wally Bear!